It’s Football Season! You Might Need a Vehicle Title Loan! 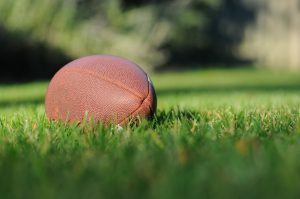 The fall sports season is upon us, so for football fans that that means lots of time and money dedicated to this pastime. From college football to fantasy teams to professional ones, your season is going to be packed with activities and healthy competition. Whether you enjoy watching the game by having spirited tailgate BBQs, putting on chili cook-offs, cheering your team at your local pub, or supporting them from the stands, there is a lot of fun to be had with friends and family. By having these items, you can have cash in hand before you know it, and watching your team score the winning touchdown! At Tio Rico, we understand that your time is valuable so we strive to keep it simple. When you need cash quickly, you can visit any of our Arizona or New Mexico locations and we will be happy to walk you through the process or call us at your convenience at 602-322-1010. By the time halftime is over, you will be feeling a little more financially comfortable, allowing you to enjoy the football season to the fullest.